Arizona Cattle Dog Rescue: Looking for a new best friend? Looking for a great best friend? 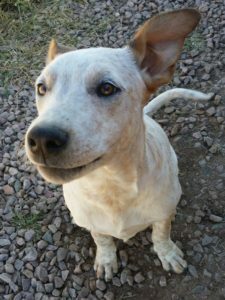 Rollins is a smart and funny young Arizona Cattle Dog mix. Although deaf, he’s learned hand commands for come, sit, good boy, no, down, leave and stay. He’s great on a leash, house-trained and crate-trained. He’s attentive, obedient and will bond with his new person. Is that you? You can apply to adopt him here. Arizona Cattle Dog Rescue, a non-profit 501(c)(3) organization whose mission is to rescue, rehabilitate and ultimately re-home abandoned, stray and neglected Australian Cattle Dogs throughout the state of Arizona. Whenever possible, they also assist ACDs who because of extenuating circumstances are unable to remain in their homes with their owners. 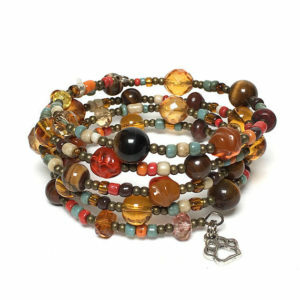 You have a few more days to buy one-of-a-kind beading divas bracelets to benefit ACDR. Check out the assortment online. We ship worldwide.